Hello and Happy Twosday! I hope you had a lovely weekend and I hope your week delights you! 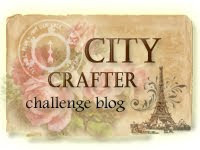 Today it is my pleasure to be Guest Starring for another week at the City Crafter Challenge Blog! 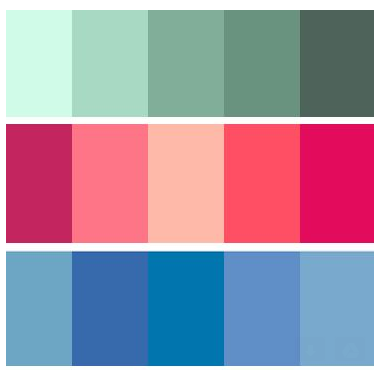 For this week's challenge, we are celebrating ombré! You may use any color of the rainbow for your ombré range. Because I can't seem to get enough of turkoyce and teal and aqua, that was the range I chose for my inspiration cards for you. For my first card, I used some of Anita's paper and did a watercolor ombré wash using my water brush and markers and set it aside to dry. On my card front, I cut an oval using my Sizzix die and once my painted paper was dry, I cut an oval from it and inlaid it into the oval card opening. Over that I adhered the die-cut "Prim Poppy" from Memory Box and topped it off with an oval die-cut frame. The sediment is from SU. I cut it in half to be able to place one word over the other. It was inked with Kaleidacolor blue breeze. I hope you will be able to join in this week at City Crafter! We'd love to see you there! 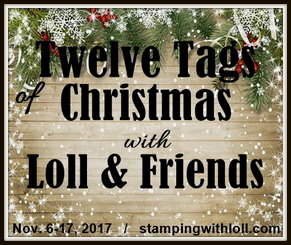 you can also enter your card in my NBUS Challenge #4! Over at Less Is More this week, the brief is to CASE one of the DT's cards. (Of course, I want to add it to my DJKASE tab at the top, so I'll call it a DJKASE.) I chose Sazzle Dazzle Sarah's card design, which is below. 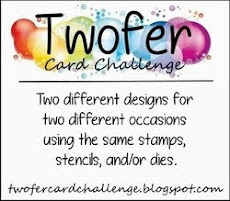 I hope you can see the inspiration in both of my cards today! In order to accommodate my shaker, my oval sits on top on this card. 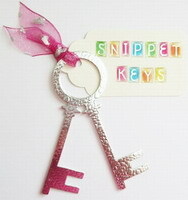 The fun bead shakers are from Pretty Pink Posh. Even though it looks like I glued all those loose beads in a funky row, I dinnit. They just hung there like that for the picture, all orderly and patient. Except for that one guy. There's one in every crowd, isn't there? The ingredients for this card are the same as for my first card, except for the sediment which is from the NBUS Waltzingmouse set, "Compact Sentiments." Thank you, Sarah, for the privilege of DJKASEing one of your excellent works of card art ~ twice!! Just Add Ink: Eggs or Ovals. Simply Create Too: Easter of Bunnies. Oh wow--your cards are gorgeous, Darnell! Both stuning but first card is beautifuly beautiful! Colours and composition are amazing. My favorite. Beautiful work Darnell, once again, thank you so much for being our special guest star this month! Lovely cards Darnell. Like you I love turquoise and seeing it in this ombré form reminds me of the blue skies of spring that are definitely starting to appear around here at last. I really like your ombré sentiments and the textured paper adds something special. Wonderful cards Darnell - love your ombre effects, they are stunning. Stunning cards Darnell, I love your designs, the white poppies are so pretty and delicate. Your shaker card is wonderful and the colours are gorgeous. Such Bootiful cards Darnell!! Loving the ombre sentiment too ... Oh and so glad Hammy likes the look of Monique she will be heading for the airport sometime today! I love your cards ;))!!! How fascinating that the same color combo (which I love btw) and layout can look serene as a sympathy card and fun as a Easter card! Beautiful! These are absolutely gorgeous Darnell!! That first card is stunning, Darnell. I adore the colors you chose and the ombre effect you achieved. It works perfectly with that flower and sentiment. It's indeed so comforting for the type of card you made. The shaker card is very fun too, but I was really struck by that first card. Excellent work! Love your blue ombre coloring. The sympathy card is just the right elegance. Your shaker card is so bright and cheerful. Interesting how the same colors can have such different effects. These are so pretty, Darnell! Love this design for a sympathy card. It has a lovely and peaceful aura - perfect for those sad occasions. Darnell these are so stunning! Your ombre sympathy card is so beautiful my friend! What a beautiful two projects, both cards radiate happiness for me in just one color !!! Your cards are so pretty! Love the blue colors with the ombre effect! So fresh and lovely. Love the colors you chose. (Yes I know that these were necessary.) You're and ace at ombre. Hello Darnell, beautiful Sympathy card, so elegant and just perfect for such an occasion. GORGEOUS cards, Darnell! 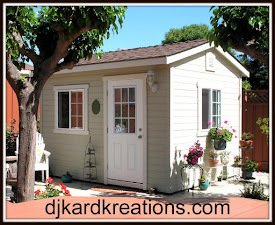 Your water colored backgrounds are just beautiful...love this color combo, too! Fabulous CASE of Sarah's card, and your Easter card is perfect as a shaker...LOVE!!! You make it all look like a cake walk Darnell, these are fabulous cards. Two lovely creations in blue Darnell! I just love both of your cards. Your ombre effect is brilliant and such a gorgeous colour. What a wonderful wash...love the color, too. Ooh, those beads are so pretty in the shaker card. Looks like treasure in a chest at the bottom of the ocean. I like that very much. Darnell it's wonderful to have you with us; you nailed e-v-e-r-y challenge. This card is a gem! So happy to have you with us for the whole month! GD gig k-nocked out of the ballpark! These two cards are stunning! Tow incredible cards that showcase "Anita's paper" beautifully! The flower die looks amazing with the shades of blue - so soothing and so a-pro-pro for a sympathy card. Your shaker card is amazing! Looks like the glass beach in Kauai, complete with the blue ocean in the background. Love the few rebel beads that decided to strike out on their own! Every card you make is beautiful and this time they were just as wonderful as always. I love the blue and white sympathy card. I do so love that Poppy die, I must use mine more, they look fabulous on that background that you have created. For some reason I can not send out mails so just to say that I am glad the card arrived but I was shocked to find it was so soon. A return card for the Valentine one. These are both bootiful Miss Darnell. Great take on a sympathy card. I always find those so hard to make. Another two gorgeous cards Darnell! I love the ovals and pretty shades of blue! And the shaker card is delightful! I need to try a shaker card! Love your cards, Darnell! The texture is great; I love the shaker card, too. What fun! Two lovelies here, Darnell. And a shaker card. Be still my heart. Love both of these gorgeous cards! Great case of Sarah's - love your Easter shaker. These are absolutely stunning Darnell. The ombre effect in blue is so perfect and so perfectly up my street too. Gorgeous cards! Love your turquoise. Ombre wash and that poppy die looks perfect. So pretty. Two great cards! I especially like your shaker card...very creative to make it an Easter egg...might case that...smile... Hope you are having a great week. These cards just may be two of my all time faves of yours, Darnell! Love the beautiful ombre blues and white flower on the first ~ the Easter Egg shaker is so pretty too. You're more than a guest for them Darnell, you ARE a star!! Your sympathy card is peaceful and just lovely. And that shaker ~ swoon, pretty colors. Aren't those seed beads great!! Fab cards. Love the water colour ombre colouring. One of my fav colours at the moment too. Wow Darnell, bot cards are stunning...I love shaker cards and yours is beau-ti-ful!! Love the first card, too..I might have to get that die...wait I might already have it..I haven't a clue!! Anywho...both are gorgeous!! Oh my Darnell, those backgrounds are simply divine, the colours are gorgeous and the transition through them is fab! Beautiful ombré cards, Darnell. So elegant, and the designs suit any occasion, it's all up to your choice of sentiment. GORgeous!!! I love that ombre card! Both cards are stunning. The colour wash isso ssoo effective. Hope to join Nbus 4 soon. Darnell I love your sympathy card. It is just so perfect in it's simplicity. Your Easter card is equally gorgeous, love those beads! Your cards are so beautiful. I love the designs and colors. Great watercolour and oh what a great tint of blue! I just love blue!! You colored so beautifully!I love blue!! Love the ombre & that prim poppy is such a lovely die to use on a sympathy card. I saw your card at City Crafter and had to come over to say I love it! Such loveliness and beautiful ombre-ness in one post!! I am just floored by the beauty and serenity of your sympathy card!! Well done on that - it would calm any grieving heart and fill them with hope!! As for your other Happy Easter shaker card - it is fun, pleasing, and just so well done!! Hope you are having a beautiful day!! Turkoyce... you crack me up. I like your clean and elegant sympathy card. I have yet to try one of these new fangled shaker cards.... one of these days! Stunning...just stunning. And your inking is so beautiful and it really looks fabulous on Anita's paper. Sweet pair of cards!